Bernard X. Gorges, as a seminarian for the Diocese of Wichita, teaches a catechetical summer program to elementary grade students at St. Michael’s Parish in Girard, KS, in the summer of 1987. To keep busy during the summers of 1988-1990, Gorges accepts calls to teach at 15 different parishes in Southeast Kansas and hires college students to assist him. In 1991, two teams of four college students are formed to meet the demand for the Summer Catechetical Program, as it was then known. In 1993, the program increases to four teams and expands services into parishes in the Diocese of Dodge City, Kansas. The program informally begins to be called Totus Tuus. 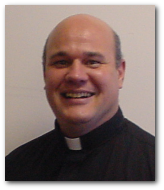 In 2008, Totus Tuus is brought to the Diocese of Superior, WI, through the Vocations Office. In 2010, Totus Tuus Superior becomes part of the diocesan Office of Lifelong Faith Formation. In 2011, Totus Tuus begins goes international as teams form in Toronto, Ontario, Canada. Also in 2011, Totus Tuus Superior becomes part of the diocesan Office of Marriage, Family and Youth Ministry. Where is Totus Tuus Located Now? Since its inception in the Diocese of Wichita in 1987, Totus Tuus has expanded from one parish in Kansas to numerous parishes throughout the country. In 2015, over 30 dioceses in 16 states throughout the United States and one diocese in Canada will host their own Totus Tuus teams!